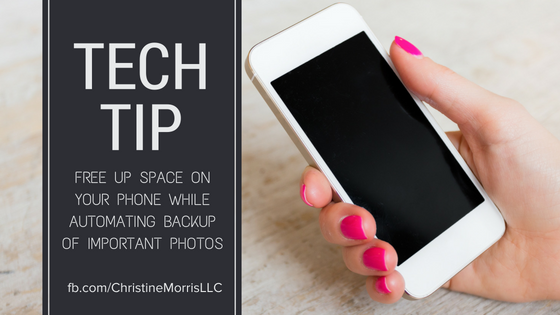 If you find your phone loaded with photos or video’s this Tech Tip is for you. Watch the video below to hear about the tools I use to automate the back up of my photos and free up space for more memories or apps! If you enjoy this quick tip – I am live each Tuesday on Facebook at Noon Eastern Time for Tech Tip Tuesday!